Imagine, you dream about taking your family on a holiday for a week to spend some quality time together. And suddenly, you get a very tempting and generous offer for what seems might be a perfect holiday. You wouldn’t refuse it, would you? You get a big mansion which even has an indoor pool. Overall, it almost feels like living a dream. Except, there is one small but crucial detail you may not know about. All that you can see is the beautiful surface. The nightmare hidden beneath it remains unseen, and you won’t know about it until the right moment when it hits you where it hurts the most – threatening your family. “Time Share” follows Pedro (Luis Gerardo Mendez) and Eva (Cassandra Ciangherotti), who, together with their little son, purchase a vacation package at Everfields. As soon as they start enjoying their time in the mansion, there is a knock on the door. It is the security officer, who tells them that there is another family who claims that they have also paid for the same mansion where Pedro and his family are staying. Understandably, Pedro disagrees with the stranger. He asks them to follow him to find the supervisor and resolve the confusion. Maybe, there was a mistake and the place was overbooked by an accident. What Pedro does not expect is that he has signed up for a “Time Share” where he must share his home with others. There is another thing Pedro is yet unaware of. Andres and his wife Gloria, who have joined this place a long time ago, are afraid to escape it. They are kept almost like captives here, as they fear they might lose their family if they try to get out. As the scary atmosphere of the film continues to grow, what appears to be a social experiment of a “Time Share” turns into an unbearable nightmare for both Pedro and Andres. “Time Share” is co-written and directed by Sebastian Hofmann. The director explores the dark side of a beautiful façade that is made to manipulate as many people as possible. The tempting package that Everfields offers is just a trap for those who look for an affordable vacation. Those who choose it end up in a psychological prison that is effectively built in their mind. 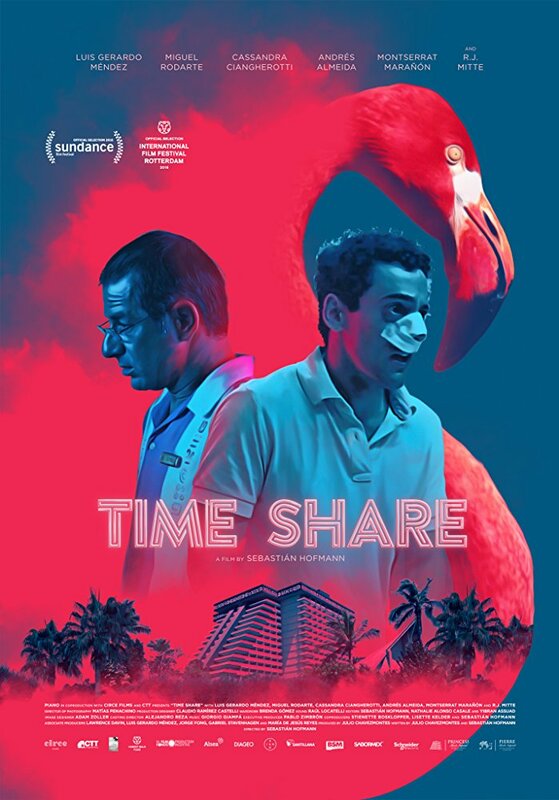 To conclude, “Time Share” is an excellent nail-biting thriller with the elements of horror that will haunt you long after you’ve done watching it.